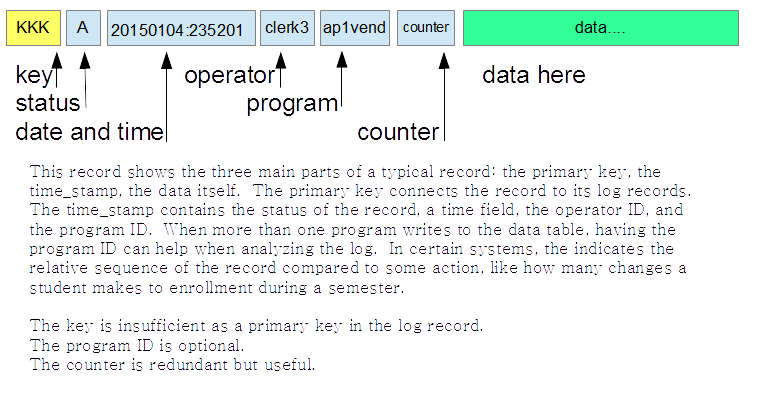 The data record has keys and a time_stamp area. Every change to the data table causes the write of a record to the log file. 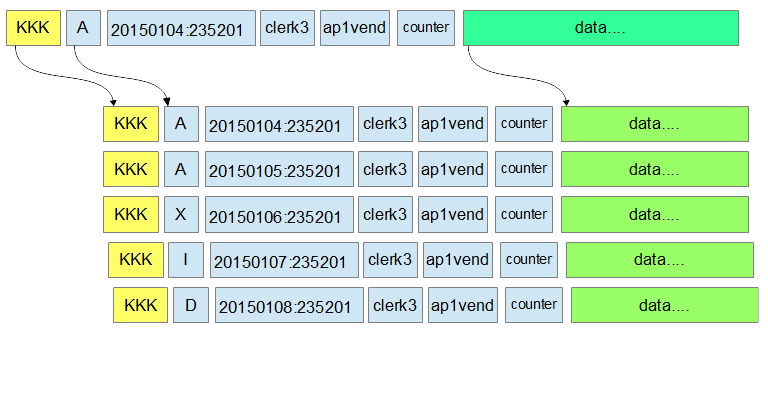 Logging has great powers for enforcing integrity and for analyzing efficiency. Knowing the number of times that an action occurs can shed great light on managerial decisions. For most typical logging situations, a time_stamp is necessary but some trivial cases do not need a time_stamp. In rare cases, just a count of actions is sufficient; in other cases, the kind of action or the name of the operator is sufficient. Some systems have built-in logging. Some do, but useful fields are mission. The manager needs to make sure that batch jobs create log records. One record should be created at the beginning of the job, A second record should be created as the job ends.